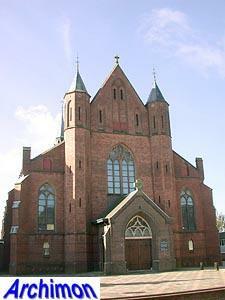 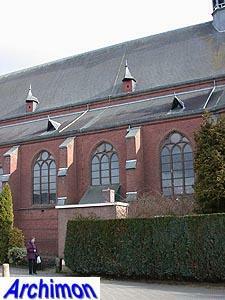 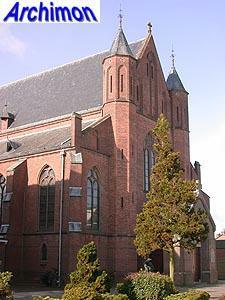 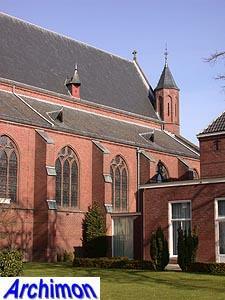 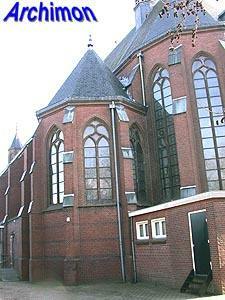 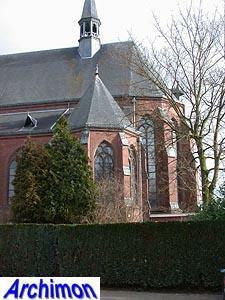 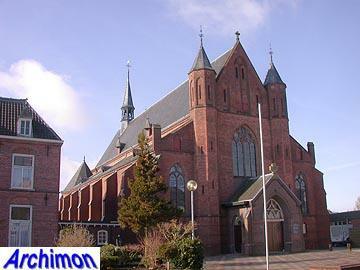 After the Reformation the catholic parish of Goor was disbanded. 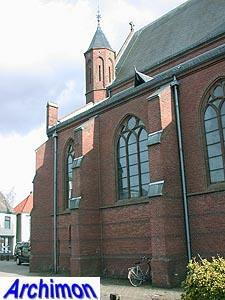 In 1809 it was refounded. 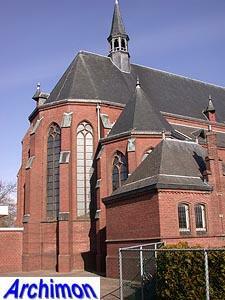 The current church is a three-aisled pseudo-basilica, designed by J.W. 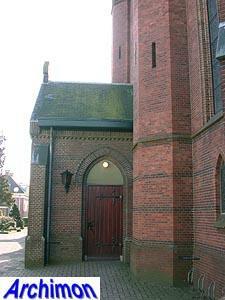 Boerbooms in a Neo-Gothic style influenced by Lower Rhine Gothic. 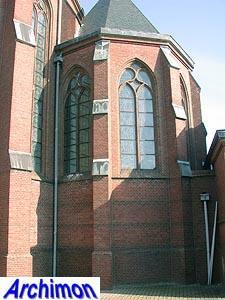 The church is not oriented; instead of the choir, it's the front that faces the east. 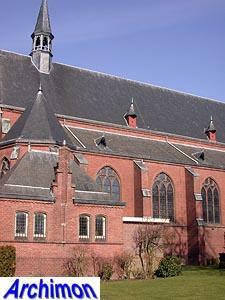 To add some monumentality, the facade is flanked by polygonal stair-turrets, while the side-aisles end at the back in polygonal chapels. 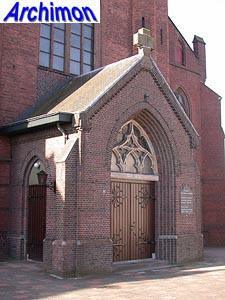 The portal at the front was added in 1935.